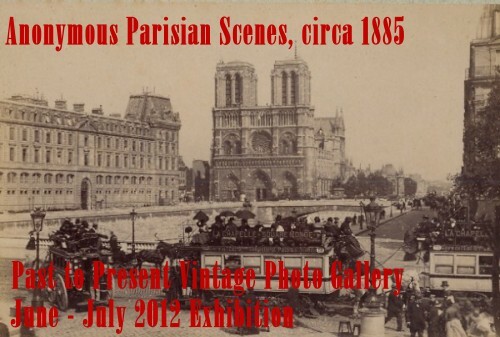 Our June 2012 exhibition presents a large group of early snapshots of Paris, circa 1885. Most photos are animated in this unusual and attractive collection. The subjects we plan to showcase next are World War II Japanese propaganda photos and early aviation.